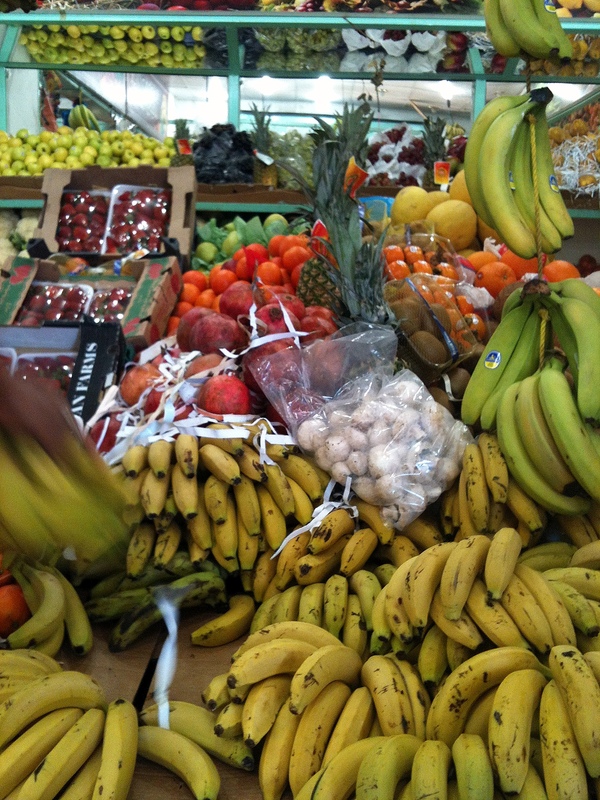 Sunday afternoon is the best day to buy fruit and vegetables for the week. Our weekend is Friday and Saturday which means that come Sunday afternoon the trucks roll up to deliver their produce and restock the market for the week. The range and quality is by far the best on Sunday afternoon especially if you are wanting something a little bit more “exotic” (or for me what I would consider normal) such as broccoli, pineapple, mushrooms, pumpkins or basically anything that isn’t grown locally or considered a staple fruit and vegetable in the Arabic diet. 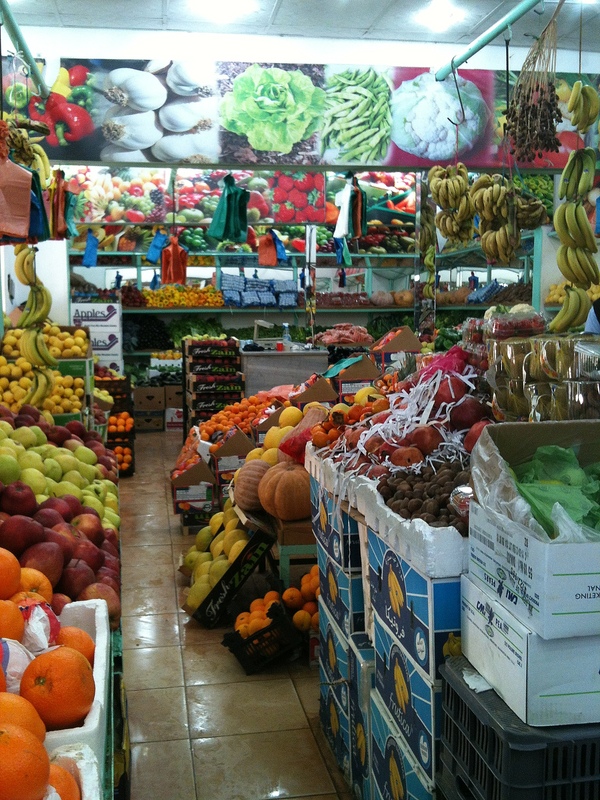 The fruit and vegetable market is located near the centre of town in a purpose built shed. Unfortunately due to the size of the town there is now only one vendor selling fruit at the market in a shed that could house 6-8 vendors. 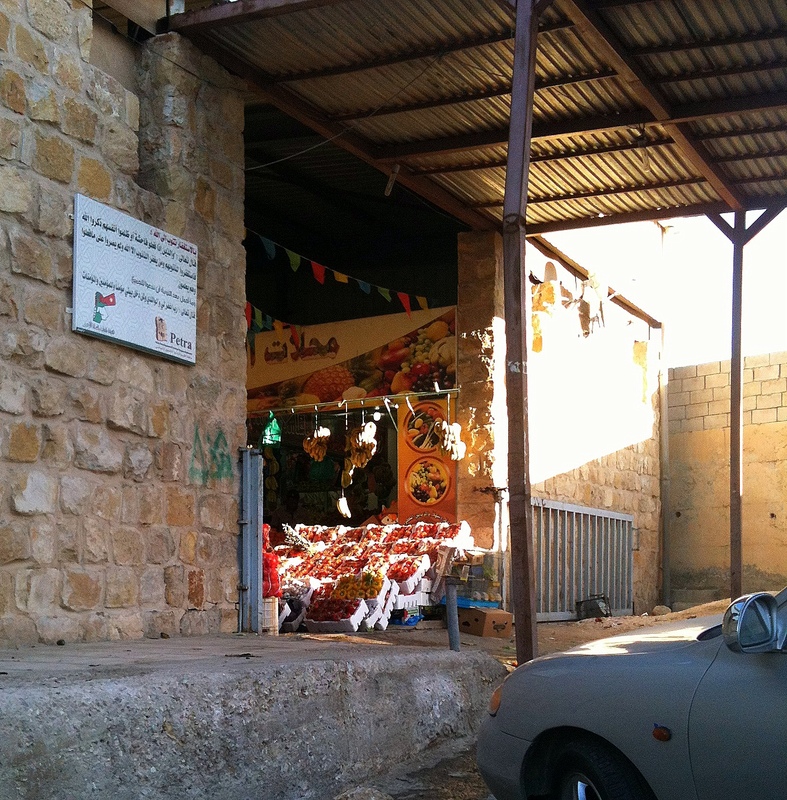 The only other shop inside the markets is one selling mainly chicken, eggs and deli type products (olives, cheese etc). This means that with only one fruit and vegetable vendor prices tend to be on the high side with no competition to bring them down. Here are a few photos that I took on my Iphone today which unfortunately is an old 3GS so only has a 3 megapixel camera. 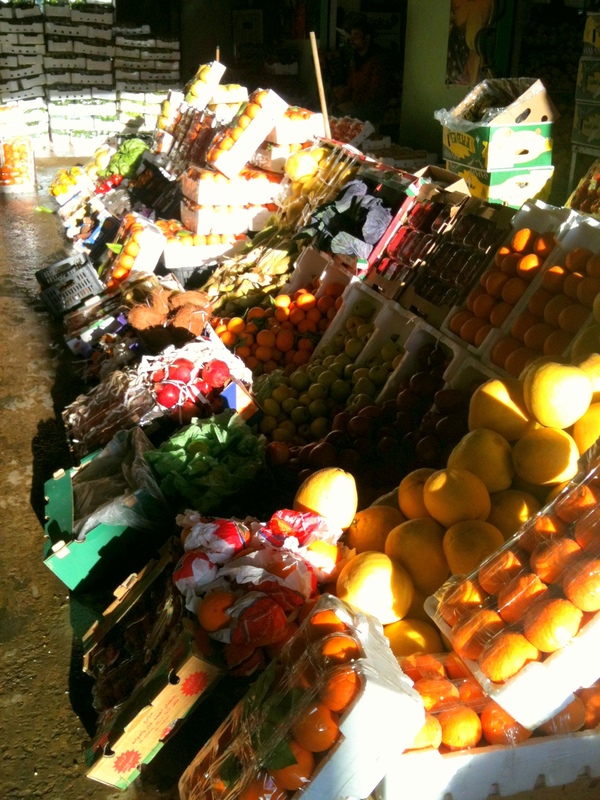 Out the front of the Fruit and Vegetable Market. The only bag of mushrooms available this week. Not unlike fruit and vegetable shops back in Australia. 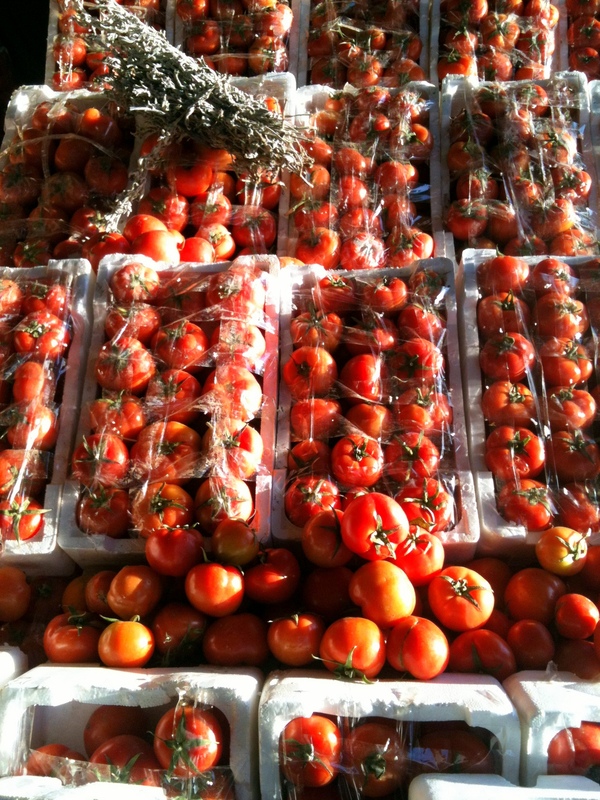 Tomatoes are always in plentiful supply. At this time of year (winter) they are being grown in the Dead Sea Valley and transport to Wadi Musa. In summer and autumn they are grown locally. Not a bad offering. Citrus fruits such as oranges, mandarins, pummelo and grapefruit are coming into season. They are grown in Dead Sea Valley in the Ghor area. It’s definitely at it’s best on Sundays. Come Saturday asides from tomatoes, potatoes and bananas there’s not much else.